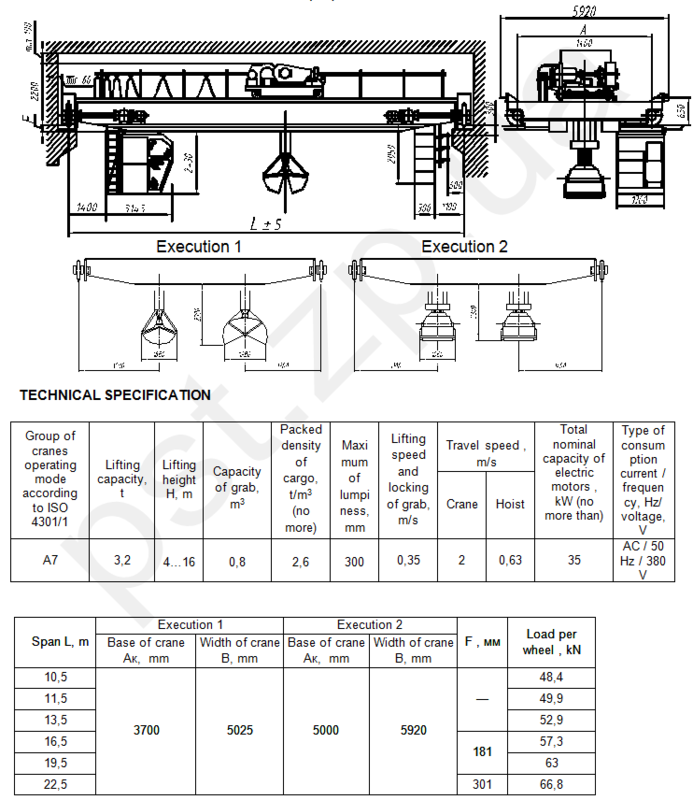 Special purpose electric bridge crane operating with grab with lifting capacity 2 t.
Crane BCG2 - A7 is designed and suitable for installation in shops and on open trestles for handling operations. 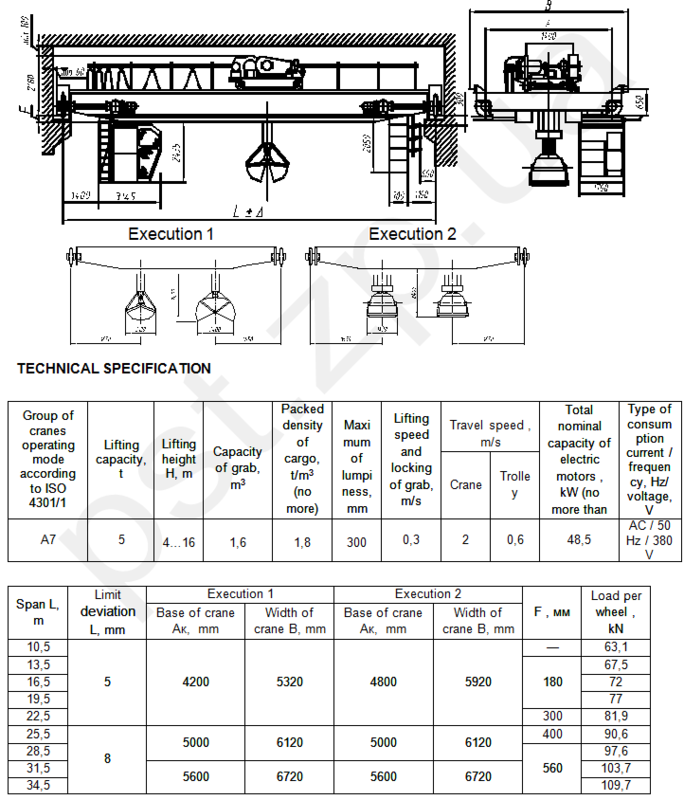 Cranes are supplied with performance of full electric installation of control cabinets, with metal structure check assembly, with idle test of all the units. 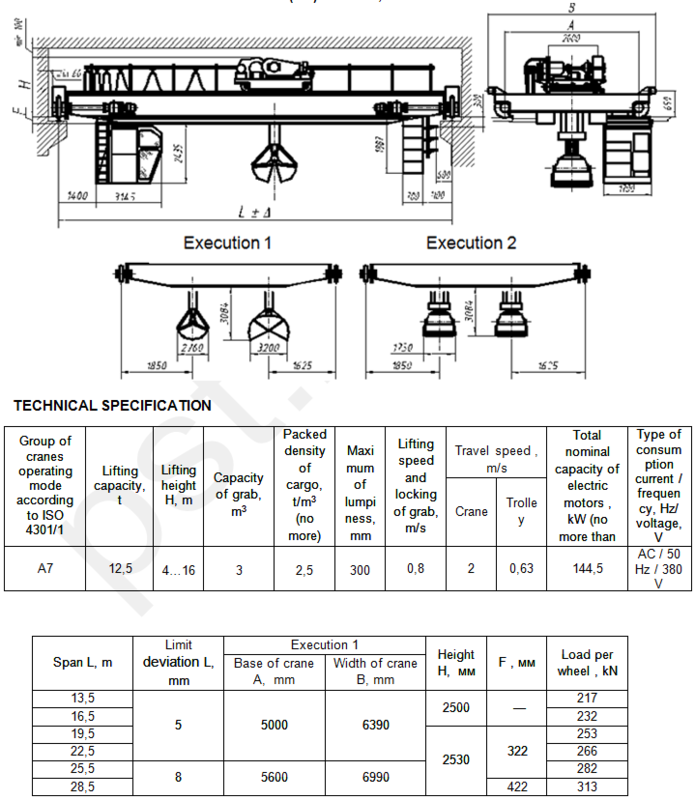 Special purpose electric bridge crane operating with grab with lifting capacity 3.2 t.
Crane BCG 3.2 - A7 is designed and suitable for installation in shops and on open trestles for handling operations. Cranes are supplied with performance of full electric installation of control cabinets, with metal structure check assembly, with idle test of all the units. 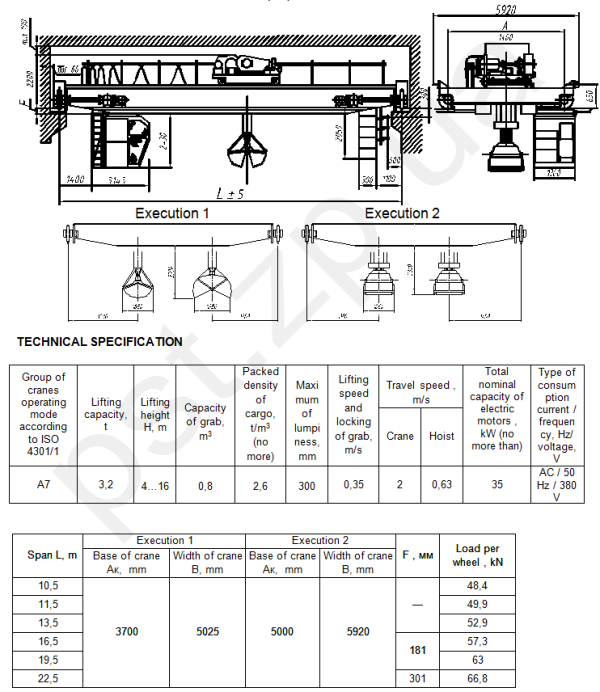 Special purpose electric bridge crane operating with grab with lifting capacity 5 t.
Crane BCG 5 - A7 is designed and suitable for installation in shops and on open trestles for handling operations. Cranes are supplied with performance of full electric installation of control cabinets, with metal structure check assembly, with idle test of all the units. 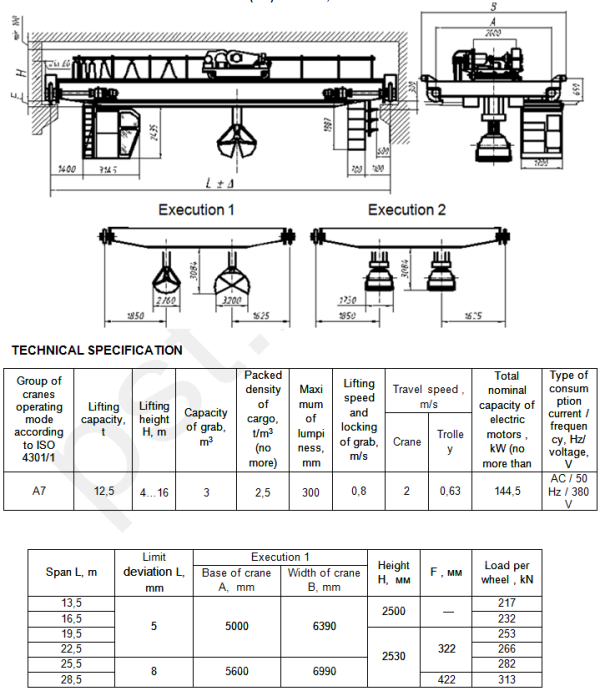 Special purpose electric bridge crane operating with grab with lifting capacity 12,5 t.
Crane BCG 12,5 - A7 is designed and suitable for installation in shops and on open trestles for handling operations. 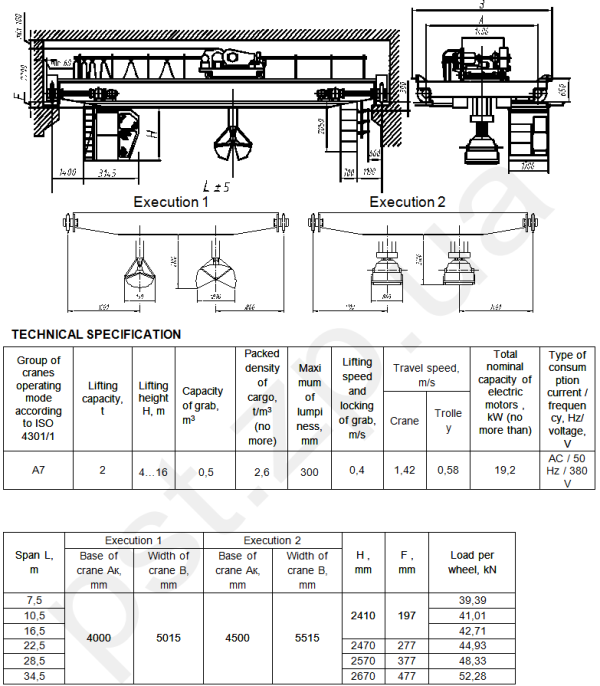 Cranes are supplied with performance of full electric installation of control cabinets, with metal structure check assembly, with idle test of all the units.